Knit By God's Hand: Have you Ever? Though I would like to say, Bucket List isn't the right term - I dont have a goal for these things - its more of a "have you ever?" kinda game... so that's what I'm calling it here in my blog world. I thought it would be a good little brain-free-dont-have-to-think post... & better yet, the world gets to know more about me. haha ... I can hear Ricky now saying, "Doesnt the world know enough about you already?"... probably... but alas, here we go - MORE STUFF TO KNOW! Fired a Gun - Nope - I want too... I'm scared though. Do BB guns count? Because I'm totally a pro at that. Shot a bow and arrow - Nope - I never had the upper body strength to pull the bow back. #wimpy - my dad used to shoot though & be really good at it. Been Married - Yep - 21st annivesary in October - WhwhWHAT? Gone on a blind date - Nope - but does meeting photography clients count? I mean, I dont know who they are before I meet them in coffee shops. Kinda a blind date, right? Skipped school - Nope - Maybe - Kinda? - depends on how you look at it. I never skipped school without my parents knowing about it. But my mom would let me stay home to have fun game days with her. So, it was a parent approved skipped day. Watched someone give birth - Yep - I got to be there twice to see my friend give birth to our grandbuddies... with a camera in hand... while getting scolded by the doctor for taking pictures. Oops. Watched someone die - Yep - Wow - this took a downhill turn quickly. But yes, I was in the room when my grandmother passed away & watched her take her last breath. Everyone laughs about it now because I kept saying REALLY LOUDLY, "I LOVE YOU"... like you would talk to someone who can't hear. I just kept thinking her soul was leaving & I wanted her to hear it one last time. Been to Hawaii - Nope - have NO desire to go! Know how long that flight is? I'm not even a fan of the beach anyways, or pork, or volcanos ... no thanks. Been to Las Vegas - Yep - Once. It was a great time. Ricky & I went to the first Billboard awards. Saw a TON of celebrities & singers... David Bowie, Garth Brooks, Beyonce when she was a nobody with a new group called Destiny's Child... a long time ago! Been to Nashville -Yep - hello? My grand babies live there, so what do you think? I LOVE Nashville. Except their time. I can't believe they are an hour behind EST ... & they are literally right in the same 'line' as us - so when it gets dark here at 5:30pm during winter, its dark at 4:30pm there. I couldnt deal with that. Seriously. Visited Florida - Yep - Disney World is there. You know I've been there. Lived in another country - Nope - can you not get the sense I'm not adventurous with travel? Flown in a helicopter - Nope - again, do you not see I like my feet on the ground? Though I do think I could handle that better than a plane. maybe? probably not. Been on a cruise - Nope - Ricky says he refuses to pay a lot of money for me to throw up for a week straight. I'm the one who gets "sea sick" riding boats on rivers. motion is not my friend. Served on a jury - Nope - I've been called to serve a few times, but never served on an actual jury. 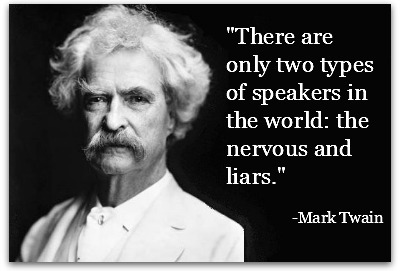 Given a speech in public - Yep - I have no idea how many times I've gotten up & talked in front of groups of people. I still get nervous each & every time - at least for the first 10 seconds, then I'm good to go. Started a company - Yep - Kinda - My photography is kinda a business, right? Been in a movie - Nope - but we were in a video that Shania Twain video one time - it was a concert LIVE style video - Ricky & I were in it if you stopped it on a 0.01 second & see us in the front row. Been to Los Angeles - Nope - but would love to go. Been to New York City - Nope - This is a bucket list thing. Ricky has no desire though. I need a girls trip I think to the Big Apple. Played in a band - Nope - I have mad cowbell skills though. Totally not being utilized in life. Sang karaoke - Yep - a good dare will make me do dumb things. Sorry to the people that listened to me sing an Air Supply song. Seriously. 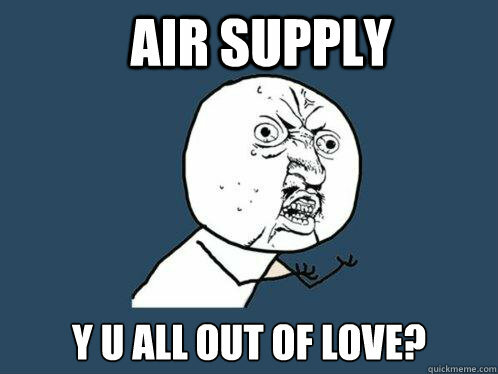 Air Supply. Had children - Nope - Yep - Not of my own, but blessed with step daughters. Been sledding on big hill - Yep - let's not talk about getting back to the top of the hill. Me & snow don't get along well. Been downhill skiing - Nope - I just dont see that ending well. Been water skiing - Nope - again, not a good idea. I almost drowned tubing when I didn't know I was supposed to let go of the rope if I fell off. See? Not a good idea. Rode on a motorcycle - Yep - Once... & burned my leg getting off of it - never rode one again. Jumped out of a plane - Nope... how many of you that know me just laughed at this one? Been to a drive-in movie - Yep - but only once. I went with friends & the whole time, I'm like, "I dont get this" - give me a comfy chair in heat or AC & a sound system that I can actually hear & a clear colorful picture.... & is bug free. I really dont see the appeal of drive ins. Rode an elephant - Nope- I just want to hug & kiss one though. Been on TV - Yep - Kinda - TRUE STORY - my mom would take every chance she could to be on TV when she saw news crews out. So we would literally drive around blocks so we could be in the background - or walk back & forth behind the newsman. Stayed in Hospital - Yep - just over night after a gall bladder surgery. That's when they found out my appendix has actually ruptured YEARS before. Donated blood - Nope - I'm so anemic, I need the blood that is donated. Gotten a tattoo - Nope - but would love to get one, or two... I want a Beauty & the Beast one & one that has to do with running - & a scripture/cross/igthus one. I could be tatted up if I let myself... but I'm scared of pain. Driven over 100 mph - Yep - did I get to work today? Lived on your own - Nope - Kinda - I did have an apartment with my friend after high school, so not technically on my own. 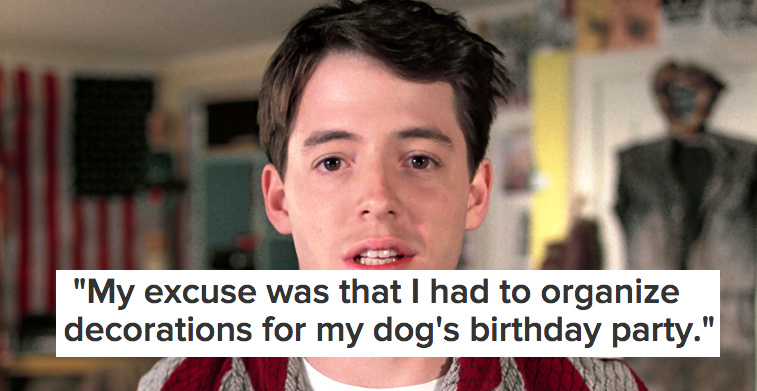 I moved back home, dated Ricky & lived at home until the day we got married. Rode in the back of police car - Yep - OHHHHHH SCANDAL!.. I've talked about that before. A guy I had just broken up with punched ME in the face on a public pool grounds (classy guy, huh?) & then his dad who worked there had ME arrested for trespassing. WHAT? How is that possible? The judge laughed & threw it out. But yeah, I got to do the back of the police car ride. I should do a whole blog post about the experience. It was quite the adventure. So did you learn anything new about me today? I haven't seen this one. Really enjoyed these questions! Well, that was fun! I was trying to think what to post today...maybe I will just do this. You sound like my dad with your opinion of drive-ins. He felt the same way about sporting events and concerts. He'd pass up free tickets because it was more comfortable at home in his chair watching on TV. Loved this! I may have to borrow! Have a great Tuesday, Rebecca Jo! Great answers! :) I don't much like the 'bucket lists' that are on FB since it's just yes/no (or put a heart or whatever) but no request for explanations. This way is MUCH better. Yes, I did learn a few things about you! What fun this was! Kinda like mine today...ABCs of me. Always fun to do and fun to read! What a fun little thing to do! What an incredible experience it must have been to shoot your friend's birth. That picture is amazing! Hmmmm let's see here.... have been to Canada, Florida, and Nashville. I wasn't in "a band" but I was in band in school. Hahaha does that count?! I have a tattoo and my ears are double pierced. I have ridden on a motorcycle, I would love love love to ride an elephant. Your etsy business is a company! I can't believe that happened with an ex! What a slimeball! I love that you sing Air Supply! I've been to Vegas once, that's all I need. I have shot a gun several times, but I hate it! It's so loud and I have terrible aim. I was legally required to for my job, though! Haha too funny you don't want to go to Hawaii. I really want to go. My uncle lives there and it's beautiful! So many gorgeous mountains. 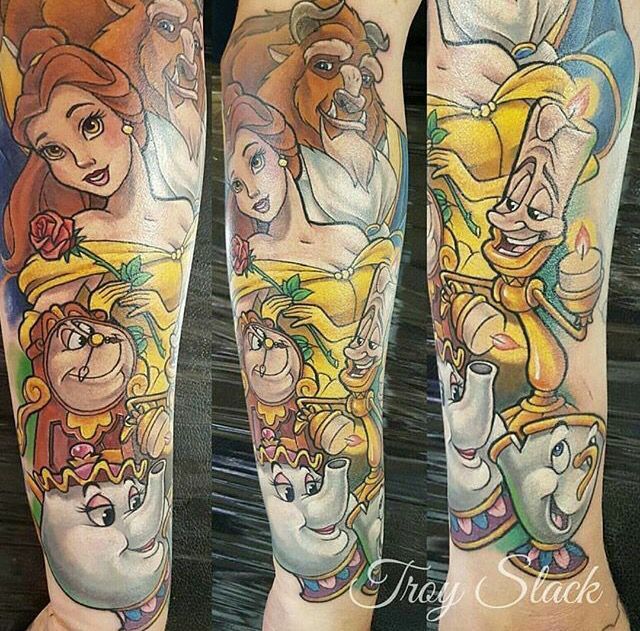 Awww I love the Beauty and the Beast tattoo. I did a similar one on FB. Enjoyed it this way better. Yes, I learned some new stuff about you and it makes me want to meet you in real life even more. I thoroughly enjoyed your answers. I did this as a blog post too a couple of months ago. The little Q&A's are fun. I went to a consult recently (and am booked soon) for a new tattoo. In her portfolio, she had the rose from Beauty and the Beast...and she's done several Disney themed tattoos using a snow globe with the Disney castle inside for example. I thought of all my Disney lovin' friends. And that story of you in a cop car had me rolling! Never had a speeding ticket until I was 30. The I had 2 in the SAME SPOT within 2 months. Keeping my fingers crossed it stays that way! I love #avoidallhills. I drive a stick. & while most hills don't make me nervous, I got into a mini fender bender on a hill 1 year or two back & now I won't drive that way in the mornings since it means I could get stuck in the middle. It still makes my heart race just thinking about it. I learned all kind of new things lol I will have to bookmark this to refer back LOL More cowbell was a crazy sketch. Your Vegas trip sounds awesome, a once in lifetime kind of thing :) I flew over the Grand Canyon in a very small plane tour it was so beautiful! 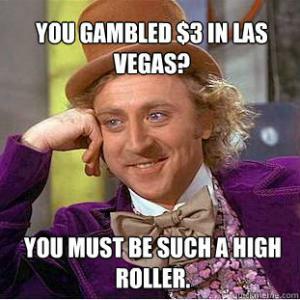 I did when I was in Vegas. I love this!! You totally need to do a post about the whole getting arrested thing. Sounds cuhrazee!! Wow, David Bowie, Garth Brooks, and Beyonce all in one trip?! How amazing is that. Such a cute post!